A new trend emerging in Southern Utah, and all over the nation, is an increasing number of youth using an herb-based product to get high. Unlike marijuana, this “spice” is legal to purchase and use. Mimics the effects of Marijuana; gives users a marijuana-like high when smoked. Many different herb-based products can be used, and then sprayed with a number of different cannabinoid chemicals. Very popular among teens who use it as an alternative to marijuana to avoid a positive drug test, bypass the dangers of being arrested, and to increase their high. Similar to the street price of marijuana, but it’s legal to buy. Can be purchased at gas stations, head shops and online. (6 confirmed businesses are currently selling this drug in Southern Utah). Marketed as incense, packaging actually reads ”not for human consumption”. This is a loophole used to sell it legally. Some states and locales have passed laws to ban the sale and use of this substance, and some prosecutors in Utah are charging defendants with possession or use of a psycho-toxic chemical. But few ”official” ordinances have been passed in Southern Utah regarding this drug. Police agencies in Southern Utah report a sharp increase in the number of teens found using this drug. ER presentations for negative side effects after using the drug have increased greatly in Southern Utah. 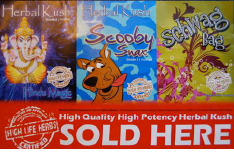 Synthetic marijuana is often sold in small foil packets or glass capsules similar to lip balm jars. “Spice” typically looks like an herbal substance. ​smokeable plant material can be used. Usually smoked in a pipe, or through a bong or Hookah. Sometimes smoked as a cigarette. Because it burns quickly, it is rarely smoked as a blunt or baked. Because there has been little research on the long term use of this drug our knowledge about the effects are limited. Since these products are not regulated there is no way of knowing how large a dose a smoker is getting, and since the products are not made in a controlled environment, and it can be difficult to determine the chemical make-up or the amounts and potency, it is hard to determine with any accuracy how damaging the potential harmful affects will be. Synthetic Cannabinoids found in Spice have similar effects in humans as tetrahydrocannabinol (THC), the main active ingredient of marijuana. Behavioral pharmacology studies show that these compounds have THC-like activity in animals. “In mice, it decreases overall activity, produces analgesia, decreases body temperature and produces catalepsy [a nervous condition characterized by muscular rigidity and fixity of posture regardless of external stimuli, as well as decreased sensitivity to sensory and emotional experience,]” (Drug Enforcement Administration Office of Forensic Sciences, Washington, D.C. 2009). A study published in the Journal of Mass Spectrometry (2008) on the effects on humans reported considerable reddening of the conjunctivae (white part of the eye,) a significant increase of pulse rates, xerostomia, and an alteration of mood and perception, all within 10 minutes of consumption. “The effects continued for about 6 hours under slow attenuation. The whole next day, some minor aftereffects were still noticeable,” (JMS Letter, December 2008). ​ Local users report a high similar to marijuana, but more intense, and only lasting a short period of time. They also report hallucinogen-like effects, including paranoia. Diarrhea and other flu-like symptoms. Diarrhea is noted among users within a few days of use, and flu-like symptoms become prevalent shortly after. Extreme stomach pains & vomiting. Anxiety, elevated heart rate and blood pressure, seizures. Poor sleep, pale skin, memory loss. Obviously the many negative consequences of inhaling particulates into the lungs will apply to this smoked product; perhaps even more so than tobacco from cigarettes since filters are not always used when smoking spice. 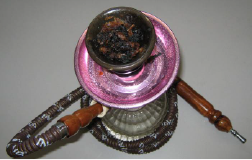 Use of incense, colognes and/or perfumes to mask the chemical and smoke smell. Trouble sleeping, erratic dreams, hallucinations, etc. Paraphernalia (if you find paraphernalia in your house or in your kids possession it is VERY likely they are using. ​Use of “Spice” has linked with signs of addiction syndrome. Researchers have demonstrated dependence Syndrome and physical withdrawal syndrome to synthetic marijuana closely resembling that seen in cannabis dependence. 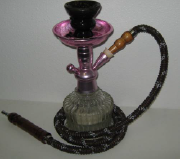 Pipes like this one, confiscated by Campus Police at Dixie State College, are sometimes used to smoke Spice. These pipes and bongs were confiscated by local law enforcement officers. ​Paraphernalia like these are often used to smoke Spice. Spice is burnt in a pipe similar to this one. ​The smoke is then inhaled through the pipe. ​ grind up Spice before it is burnt.